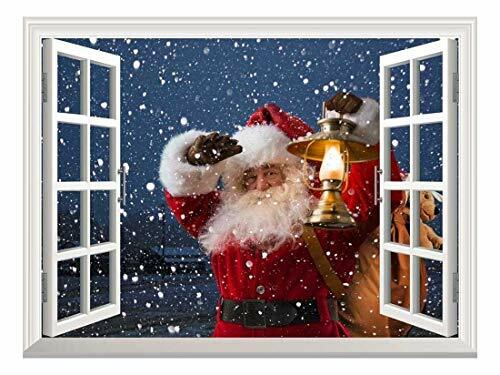 wall26 Removable Wall Sticker/Wall Mural - Santa Claus Carrying Gifts Outside of Window on Christmas Eve - Creative Window View Home Decor/Wall Decor - 24"x32"
Very High Quality Vinyl - 7+ year exterior life! 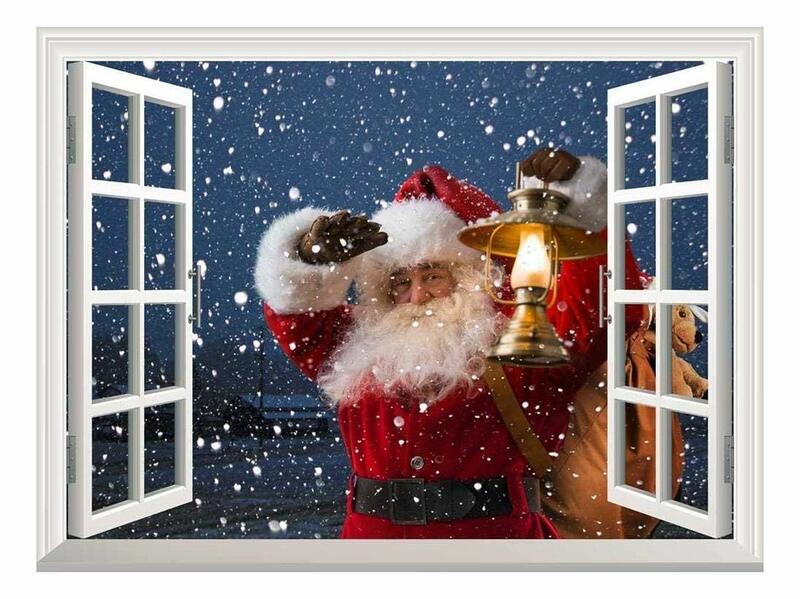 I purchased this for a door decorating contest at work and choose this wall sticker. I added some curtains and a few extras and actually one first place!! the GOLDEN DOOR! I hesitated to buy this cute as it is after reading the negative reviews about the difficulty of p[putting this up and the hazards of taking it down. I'm glad I took the plunge because it is very festive, unexpected and fun. I selected the 24 x 32, cleaned the wall area, pencilled in straight lines for positioning with a level and put it up myself. However!!! It did take about five tries to get this in place because it is super sticky and wants to grab the wall--but that gave me a chance to see that it WOULD come off without damage to paint or drywall or itself. The sticker looked good on my wall. Definetly need two people to put it to make sure it’s put correctly. When I tried to remove it to place it in another wall, I realized my pain was peeled off. Very cute. Just like the picture.